CHARLOTTE, N.C. -- Hornets owner Michael Jordan is donating $7 million to launch medical clinics that he hopes will help at-risk communities in Charlotte. It's the largest philanthropic donation ever by the former NBA champion. "Through my years of working with Novant Health, I have been impressed with their approach and their commitment to the community," Jordan, a North Carolina native, said in a release Monday. "It is my hope that these clinics will help provide a brighter and healthier future for the children and families they serve." 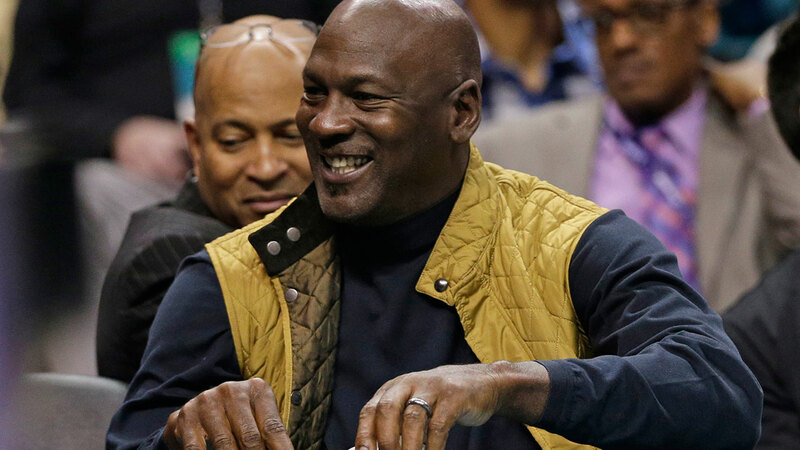 Jordan's spokesperson Estee Portnoy told The Associated Press Monday that the Hornets owner "feels so great about being able to impact the Charlotte community and help people who really deserve it. Michael and Novant are really excited about this project." A release from Novant stated the clinics will provide an avenue to affordable, high-quality care - including behavioral health, physical therapy, social work, oral health and family planning - to individuals in the community who have little or no health care. The clinics have the potential to decrease emergency room utilization by 68 percent and decrease hospitalization by 37 percent for the residents of these neighborhoods, according to Novant. Novant added that the clinics are projected to care for nearly 35,000 children and adults who do not currently have access to primary and preventive care or who use the emergency room for non-urgent medical needs. "This gift will transform the lives of thousands of families and children living in poverty-stricken communities," said Carl Armato, president and CEO of Novant Health said. "We are thankful to Michael for his generosity. The gift will remove barriers to high-quality health care in some of the most vulnerable communities."